This super cool item is created by an industrial 3D printer fed by an anatomically correct model created by Dr. Ventura. The material is a soft plastic with an amazing natural look and feel to the touch. Item is 2.25" long, .9" across at widest point and .4" at the widest point. "I carried the one used in this picture for over a year. I would not release this until I was sure it would withstand years of daily use. This is the coolest $19 you will ever spend. 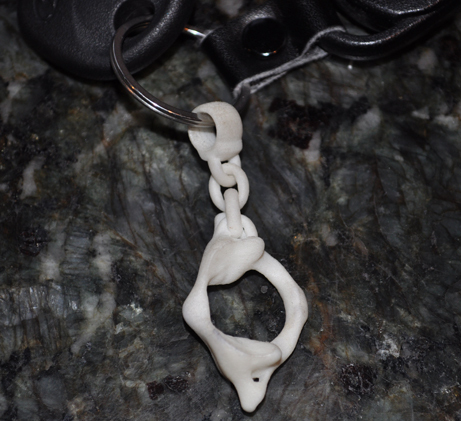 Click the button below to add the Atlas Fob for Keyring to your wish list.